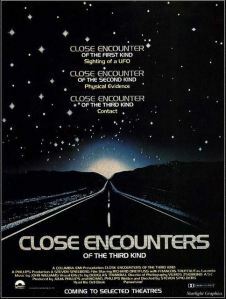 Fascinating sci-fi movie about a group of people who encounter an alien spaceship and try to uncover the truth behind those weird events. Steven Spielberg directed this amazing classic which remains until this day one of the most beloved movies of all time. Great cast includes Richard Dreyfuss (who’s terrific) and Francois Truffaut. The special effects (though 30 years old) are simply brilliant, and the final 40 minutes will leave you breathless. What a movie! The Music alone is amazing! !